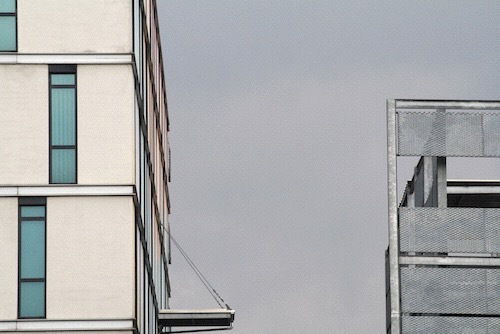 Starting from September 2018 Officine Sintetiche Lab, supported by the CRT Foundation and promoted by the University of Turin (CIRMA and Department of Humanistic Studies) in collaboration with the Politecnico di Torino (Cinema and Media Engineering) presents a series of meetings, talks, seminars, workshops and public demonstrations. In 2018 and 2019 Officine Sintetiche, in addition to hosting artists and scholars of excellence, will continue the development of interactive systems for art that are part of research already started in previous years. The themes on which OS is currently working are: digital / gaming story telling, location systems for art, VR systems for art. All activities are free entry or registration. Some activities are directed exclusively to selected students, others are open to all interested parties. 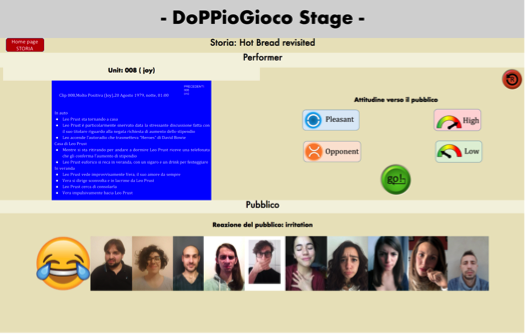 DoPPioGioco is a computational platform that intervenes in the performer audience relation as an “intelligent prompt” and suggests to the performer the next clip/unit, taking into account the emotional response of the audience and the performer’s decisions. 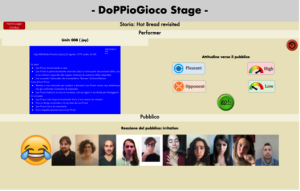 The overall idea is to test the DoPPioGioco methodology within a performance. The goal is to research, develop, and test a specific physical interface that allows the performer to provide a narrative in real time with a interactive intelligent system playing with the audience feedback in real time. In the week 4 – 8 February 2019 the DoPPioGioco Laboratory will be held at StudiUmLab of the Department of Humanistic Studies of the University of Turin.